You may also order toll free by calling 888-711-1185. This package includes all of Tony’s NFL, NCAAF, NCAAB, NBA and MLB picks he releases for 1 Month. Includes Best Bet releases. You will receive a user name and password to access your plays. Plays are posted by 8AM. Cost $300. 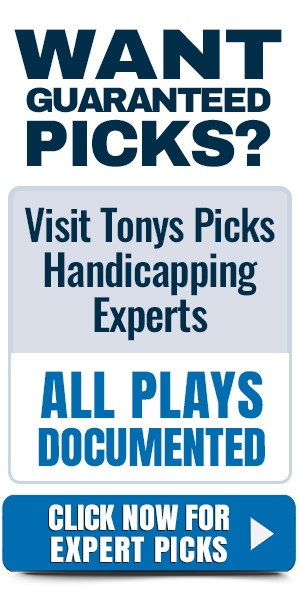 This package includes all of Tony’s NFL, NCAAF, NBA, NCAAB, and MLB plays he releases for 2 Months. Includes Best Bet releases. You will receive a user name and password to access your plays. Plays are posted by 8AM. Cost $549. This package includes all of Tony’s NFL, NCAAF, NBA, NCAAB and MLB premium picks he releases for 3 Months. Includes Best Bet releases. You will receive a user name and password to access your picks. Picks are posted by 8AM. Cost $799.